If your windows have seen better days, replacing them with energy efficient, double pane windows can significantly reduce your heating and cooling bills while adding value and curb appeal to your home. However, selecting the right windows for your home can be overwhelming given all the styles, materials, and features that are available to choose from. In addition, since this project is a major investment and new windows are expected to last up to 20 years, doing some homework before you make a decision can save on headaches later on. Installing replacement windows involves removing the old windows without disturbing the surrounding trim or frame, and replacing them with new windows or sash that are designed to fit right into the existing opening. Replacement windows cost around the same as new windows, but there is less labor involved in the installation, so the overall cost is less. Single or Double Hung Windows: These are among the most common windows and are found in most homes. They consist of two separate sash (the actual pane of glass in the inner frame), which open or close by sliding up or down. A single hung window opens from the bottom only by sliding up, while a double hung window can be opened from either the top or the bottom. Casement Windows: These windows usually consist of one large sash that’s hinged vertically and opens by swinging out. Usually a lever or other mechanism is used to open this style of window. Awning Windows: These windows are hinged at the top and opened by tilting the window out from the bottom. As their name suggests, awning window create the appearance of an awning when open. These windows are most popular in coastal areas and in bathrooms. Once you have determined the style or type of window, next you have to consider the materials the windows are made from. The most popular window materials today are wood or vinyl. There are also variations including “wood clad” windows. Aluminum frame windows are also available, but are less popular since they aren’t as energy efficient as vinyl or wood. Wood Windows: Wood is both beautiful and had good insulating properties to resist heat and cold. However, the natural look of wood involves considerable maintenance. Besides periodic painting or staining, wood windows must be treated to protect them from moisture, movement, and rot. Vinyl Windows: Like their cousin vinyl fencing, vinyl windows have become one of the most popular choices among homeowners. Vinyl is virtually maintenance free, provides excellent insulation, is reasonably priced, and looks great. Vinyl Clad Windows: These windows offer the beauty of wood on the inside with a vinyl coating on the wood frame outside. This offers the maintenance free feature that makes vinyl so popular, while giving the beauty and natural feel of stained or painted wood on the inside. Next you must choose the type of glass for your windows. Recent advancements in technology have greatly expanded the choices available in window glass. Besides choosing between double-, triple- or even quadruple-pane glass; you also get to decide on the distance between the panes. The number of panes of glass doesn’t increase the insulation factor of the window, rather it’s the air between the panes of glass that provides the additional insulation. Most manufacturers today use an inert gas (usually argon) between the panes that insulates better than air alone. Low Emissivity (Low-E) Glass: Low-E glass refers to glass with a special microscopically thin, virtually invisible layer of material on the surface of the glass which acts to reduce the amount of heat that can flow through the glass itself. Impact Resistant Glass: While if you wack this glass with a baseball bat it may crack, but it will not shatter and spread glass shards all over the place. The beauty of impact resistant glass is that under extreme weather conditions it holds up beautifully. And of course the occasional stray baseball won’t leave you with a big mess to clean up. When choosing windows, one tried and true rule of thumb is that you get what you pay for. While cost is certainly important, it’s even more important to choose a quality product made by a well-known company. It is imperative to choose a well made window that will provide the energy savings, ease of use, and low maintenance to hold up over time. Carefully examine the warranties offered by the various window manufacturers, especially concerning the glass itself, since fogging between the panes is a common complaint on insulated glass windows. This is where a well known company with a good reputation will serve you well. Companies that have been around for a while are more likely to be around in the future should your window have problems or need replacement parts or sash. There are several ways to find a good window installation contractor, but your best bet is to choose the window you want first and then look for a contractor who is especially trained by that manufacturer. Of course, as always, a great idea is to call your local Home Builder’s Association to find window installation contractors in your area. Hello, you have a great blog. It consists of almost all the details one must consider while choosing the right windows for house. 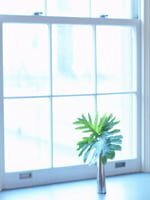 The best part of your blog for me is when you talked about how you can consider installing wood windows if you’re looking for a type of window that’s aesthetically good looking and has the ability to resist heat and cold. My sister is looking to find the best materials for the windows that she’s looking to install in her new house. It’s important for her to make sure that the windows that she will install offer a classical look without compromising its functionality. It will make sense for her to consider wood windows that will surely enhance the beauty of her windows. Thanks for sharing this. A close friend of mine had a window break and they need to get a replacement. You mentioned that you should consider what kind of glass you want, as that is based on the needs you have. I know my friend will probably want impact resistant, as his son likes to play ball and that is what broke the last window. Thanks for the helpful tips. You wrote that awning windows are hinged at the bottom, and open at the top. My grandmother wants to replace the windows in her home, and asked me to do a bit of reading on the subject. I think these awning windows would be nice, as it would make it hard for anything to get in the window if you were to accidentally leave it open. That’s a great tip you gave about how it’s imperative to choose a well made window that will provide the energy savings, ease of use, and low maintenance to hold up over time. I’ve heard that certain types of windows are capable of lowering your energy bill by up to 50% because of their efficiency! I’ll have to make a smart choice as my wife and I look into multiple window options for our new home. I am in the process of building a new home and need to decide on what type of windows I want. Thanks for all your information, I especially liked your comment about vinyl windows I have a vinyl fence in my house right now and have loved it. I didn’t realize that window frames can be vinyl as well. I will definitely call my contractor to see if we can do a vinyl window frame. This is some great information, and I appreciate your point that vinyl windows don’t require much maintenance. My husband and I just moved into an older home, and we want to put in some more energy efficient windows. I’d rather not have to take extra care of the frames, so I’ll definitely look into having vinyl ones installed. Thanks for the great post! French doors are a really good choice to get light into your home and it’s stylish too. It provides proper ventilation too. If you are looking for a good installer , please try Clera windows in Canada. I got their help to replace the windows of my bedroom and kitchen. I am looking for some corner windows french, Do you have any suggestions please? 1. Match windows to the climate you live in. 2. Some window features are beautiful but come with a high price tag, so choose your features wisely. 3. Pay attention to the u-factor value. 4. Pay attention to the solar heat gain coefficient. 5. Check to see how much light the window allows to come through. 6. Do some online research on at least three replacement windows brands (including installers) before settling. I want to know what is the difference between gas filled windows and only glass (double glass ) and which one is better? l live in Florida. And which frame is better, metal or plastic? Which manufacturer is the best? I want to know how to choose the best quality windows to put in my home. It has become very confusing. Which manufacturer is the best? I am looking at replacing my windows that are mostly worn out. Reliant Capitol has given me an estimate but I know nothing about them.. Can you provide any information regarding this manufacturer? I loved your definition of replacement windows as we’ve experienced a horror story. In Phoenix Arizona, we paid Reliant Capitol LLC (Century One Builders) over $26k in full to replace all 37 windows in our home to upgrade our home. Since then, we are in a multi-year battle to fix our home. The AZ Registrar of Contractors ordered them to fix my home on June 9, 2009. As of today,2 years later, my house is still falling apart. Search for reliantruinedmyhouse for the full story. have you ever seen hundreds of small imperfections or etches on a patio door with tempered glass. I recently purchased a triple pane door, with low e glass and notice scratches on each pane. I am being told this is a normal characteristic of tempered glass, and a because of the extra handling involved in making a triple pane door. I am thinking this is bull. This is very noticable especially with the sun shining in. Hi. 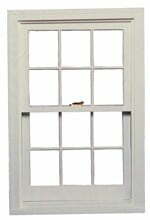 I just replaced a few casement windows in my home and now that I compare them to what I previously had, I’m not sure about the quality. They seem very clear on the surface, no visible imperfections. However,at night, when looking through them, our reflections are distorted. There seem to be warps. This is not detectable in the daytime. What do you think? Thanks! There are several quality window/door manufacturers, but JELD-WEN is the best in my opinion. What is the best window on the market today. I have 15 windows and I want Double Hung Replacements………. And a good Patio Door. You are featured on The Simonton Collection web page! I would like to know why Simonton and Home Depot do not publish or show on their web sites their costs and specifications?